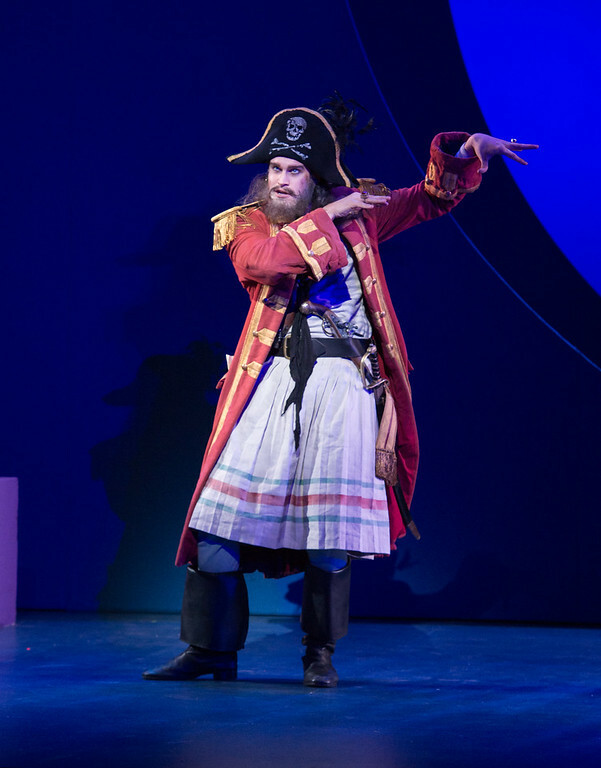 Planet Hugill: Taking them seriouly: Gilbert and Sullivan's The Pirates of Penzance at the London Coliseum. Taking them seriouly: Gilbert and Sullivan's The Pirates of Penzance at the London Coliseum. 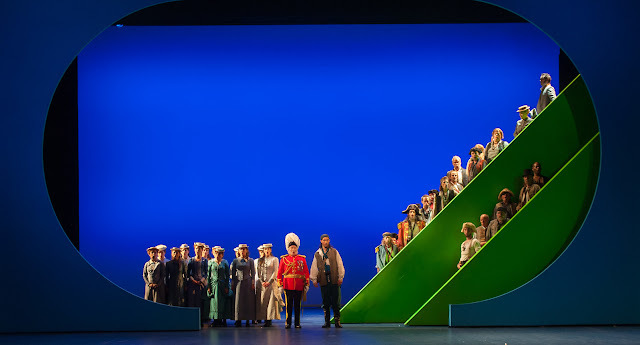 'Nobody does Gilbert and Sullivan any more', this was the comment from many of my friends when I mentioned the revival of Mike Leigh's 2015 production of The Pirates of Penzance at English National Opera (ENO). Whilst not completely true (English Touring Opera is doing Patience next month), this reflects the way performances of G&S have rather dropped out of the mainstream. That Leigh's production takes the opera on its own terms and does not try to send it up made it doubly welcome. 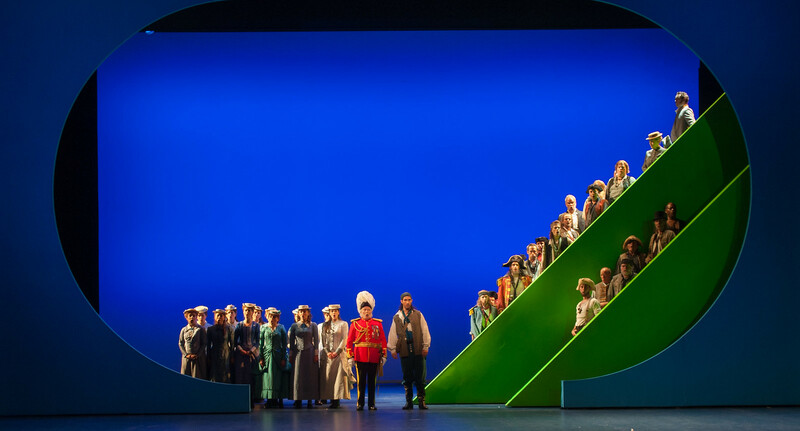 ENO had put together a strong cast, at the London Coliseum 9 February 2017, which combined youth and experience. 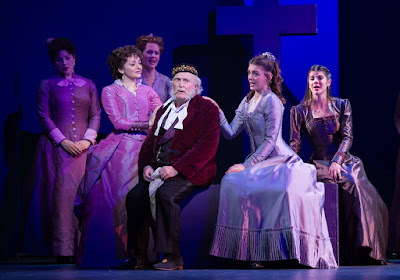 Frederic and Mabel were played by ENO Harewood Artists David Webb and Soraya Mafi with Ashley Riches, a former member of the Royal Opera's Jette Parker Programme, as the Pirate King, plus Johnny Herford as Samuel, Katie Coventry as Edith, Angharad Lyddon as Kate and Lydia Marchione as Isabel. 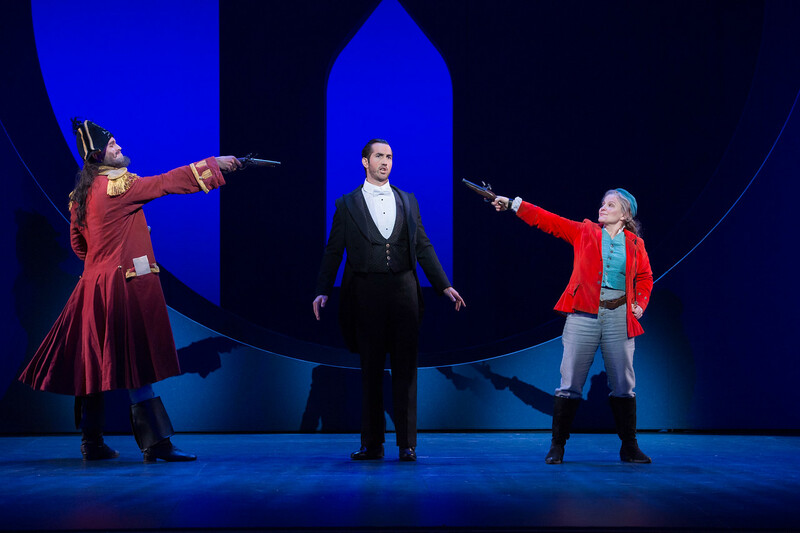 Experience was represented by Andrew Shore and Lucy Schaufer returning to the roles of the Major General and Ruth, and Sir John Tomlinson who sang the role of the Sergeant of the Police. 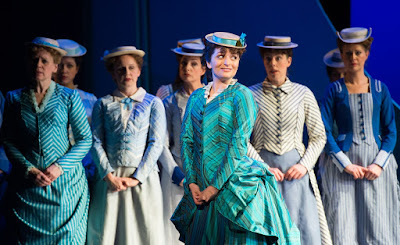 The revival director was Sarah Tipple, with designs by Alison Chitty, lighting by Paul Pyant revived by Andrew Cutbush and choreography by Francesca Jaynes. 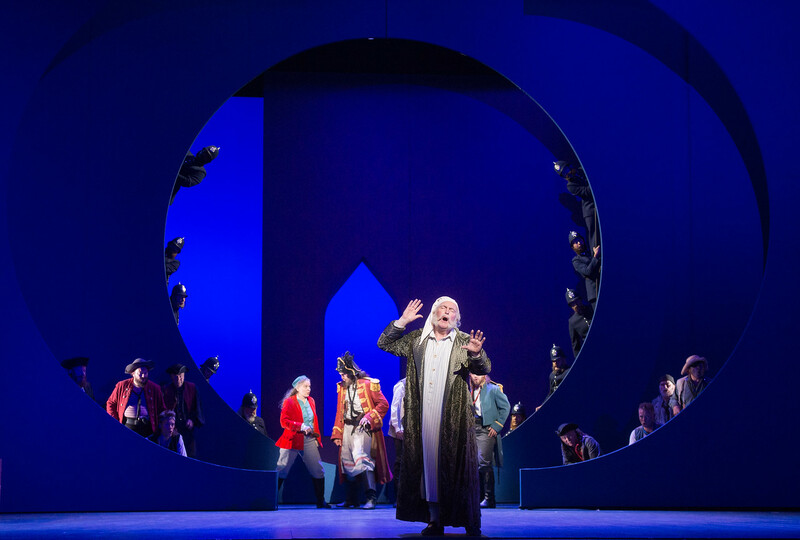 Gareth Jones conducted the orchestra of English National Opera. Leigh's production had the virtue that it had no particular axe to grind, and there was no re-writing or updating. 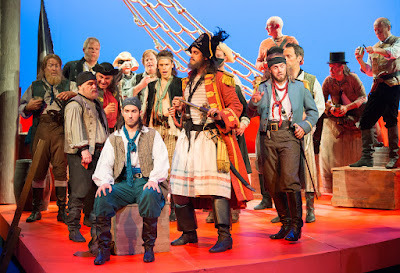 It was not presented straight, evidently when Gilbert directed the piece he wanted the pirates to be serious in the intent and the comedy came from the unlikely combination of events; Gilbert's plots work from such unlikely juxtapositions. Leigh's pirates had a distinctly theatrical element to them, certainly larger than life and Chitty's designs, with the areas of plain flat colours in the sets and cutouts, rather emphasised the cartoon nature of the piece.